The Universe is driven by four fundamental forces: gravity, electromagnetism, and the strong and weak nuclear forces. The behavior of matter within the Universes governed by their interactions via these forces. If these four forces are truly the only forces there are, then by understanding these forces we should have a full understanding of how objects interact. So when matter behaves in a way that is odd or unexplainable, one idea that often gets considered is that there might be another force at work. 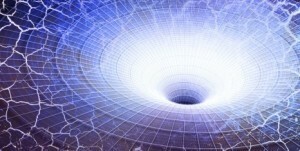 Perhaps there is a fifth fundamental force we haven’t yet discovered. Take, for example, the mystery of dark matter. Dark matter was first proposed to account for the fact that the motion of of hydrogen in the Milky Way didn’t seem to follow the rules of gravity. Either our understanding of gravity didn’t apply on galactic scales, or our galaxy has far more mass than is visible through stars and dust. Over the last few decades other observational evidence supports the existence of dark matter, but pinning down the details has proved quite vexing. 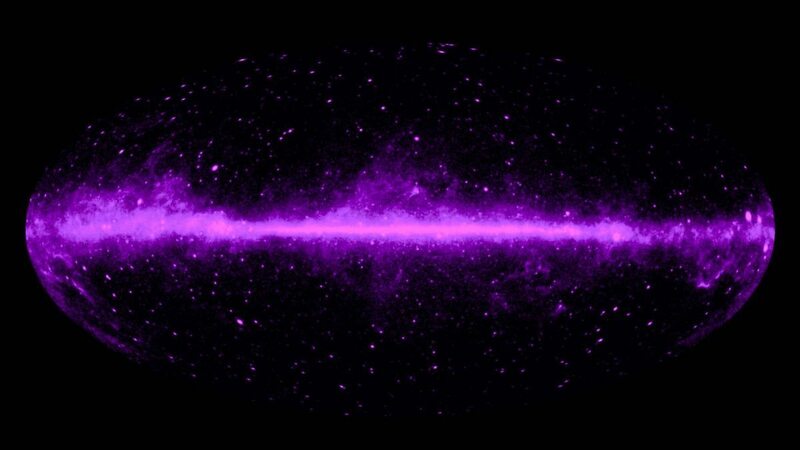 Efforts to detect dark matter directly have been unsuccessful, and creating a theoretical model that unifies dark matter with regular matter is equally elusive. Based upon observation, we know a few facts about dark matter. It makes up about 27% of the matter in our Universe, it interacts gravitationally like regular matter, and it interacts weakly (if at all) with light. In other words, dark matter interacts via the gravitational force, but not the electromagnetic one. Perhaps the most popular model for dark matter proposes that they also interact with the weak force, making them Weakly Interacting Massive Particles (WIMPs). But if dark matter is comprised of WIMPs they should be detectible through weak interactions on Earth, and so far such interactions haven’t been observed. So what else could dark matter be? If dark matter only interacts with other matter via the gravitational force, then one would assume it also only interacts with itself gravitationally. But there have been some interesting hints that perhaps dark matter can interact with itself in a non-gravitational way. It could be through the strong force, or it could be via some new, dark-matter force. Every fundamental force has a corresponding force-carrying boson through which it interacts with matter. The strong force has gluons, electromagnetism and photons, etc. If there is a fifth dark-matter force, there should be some corresponding interaction boson. Several years ago Sean Carroll et al proposed an analogous force to electromagnetism known as dark electromagnetism. Just as regular matter interacts with electromagnetism through photons, dark matter would interact through “dark photons.” Since dark photons wouldn’t interact with regular matter, the “light” from dark matter wouldn’t be seen, thus explaining its invisible nature. According to the dark electromagnetism model, dark photons and regular photons would interact slightly through a process known as mixing, and this would have a subtle effect on particle interactions. When the model was proposed it was thought dark photons could explain a mystery in particle physics known as the g-2 anomaly, where the experimental value of a muon’s magnetic moment differs by three standard deviations from the theoretical prediction of the standard model. However subsequent experiments seem to eliminate dark photons as a viable solution. The data seems to match the existence of a new boson. Credit: A.J. Krasznahorkay et al. It’s important to note that while this could be a big discovery, it needs to be replicated. Even if it does turn out to be legitimate there is no evidence connecting it to dark matter. The team was specifically looking for a dark-matter force boson, hence the connection to dark matter. As it stands it’s an interesting result, but there’s a lot more work to be done. I am sure my superficial understanding makes this observation seem ignorant but it sure seems appealing for theorists to suggest one phenomenon that isn’t understood must be linked to another that is also mystery. How is it that this statistical deviation can be assumed to be due to interaction with an unknown boson? I would like to have seen a bit more information about the process by which that was surmised. It was Fritz Zwicky who first proposed DM, to account for the apparent shortfall in the mass of the Coma cluster (the estimated mass of the galaxies was way too small). He proposed this in his 1933 paper, “Die Rotverschiebung von extragalaktischen Nebeln” (Helvetica Physica Acta, Vol. 6, p. 110-127). It annoys me no end that Rubin and Ford are credited with the discovery of DM … they were over 20 years late! Bad enough that this is a popular meme; worse that an astronomer repeats it!!! Huh, I’d always thought it was Zwicky, but for the Milky Way. TIL. Thanks for a new post idea! 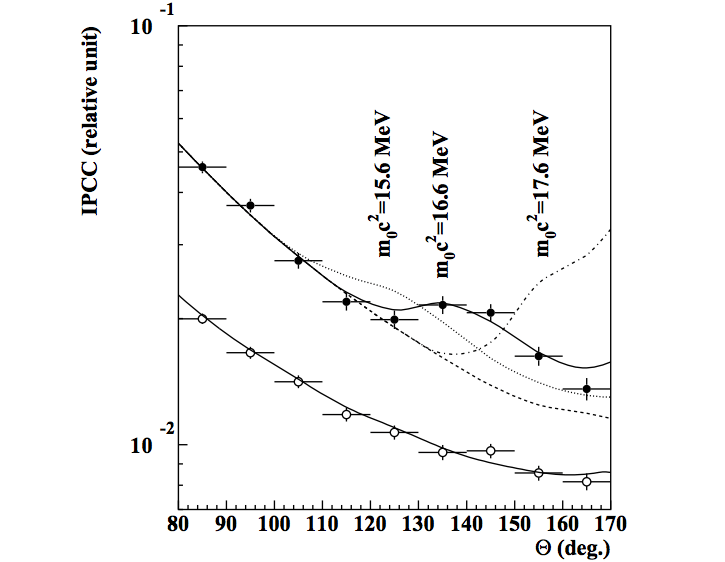 I might add that if an atomic forces in the nucleus of, say, a trans-uranium element are strong enough to make bombs out of when split, I don’t think it makes much sense that protons with like charge can bond together that strongly (even if you add the neutrons, which would not make much of a difference in terms of polarized charge anyway). – Or bond together at all! I believe we need to revisit assumptions in our current model of the atom. “Strong force” accounts for the nuclear integrity – with like charge?! Give me a break. That violates common sense, and basic principle of electromagnetism. Of course anyone can say “strong force” as if that explains it. Bah… that is why so many young people can’t make heads or tail of scientific dogma; because it’s dogma, not rational or comprehensible. If you’re offended by this post that means you’re invested in the dogma. Science should be an open-minded search for truth – or at least the facts of Nature’s physics, not vague terms to explain what a mathematical attempt wants to fit into itself. Here is another example: photons have ‘relativistic mass’ so they don’t have to bend with gravity, right? What the bleep is “relativistic mass?” We are told “energy content.” Ok, what is “energy content?” Feel free to find a clear definition of that! Time to play misconception bingo! “protons with like charge can bond together…” – Like charges repel each other, not attract. “photons have ‘relativistic mass’” – Not quite. Here’s an overview of different types of mass. “Science should be an open-minded search for truth.” – Ah, that old chestnut. Bingo! I think it’s a problem with scale. “This human-manageable item behaves in this way; therefore subatomic particles (& the universe as a whole) must behave the same way.